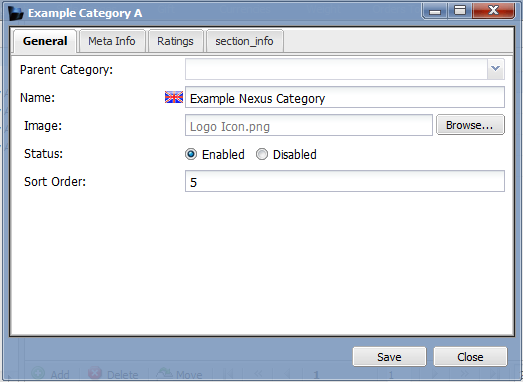 Category Descriptions is an additional paid module and is available for purchase. It allows an image & rich text description to be uploaded to a category & any sub categories. Please see an example of category descriptions below. 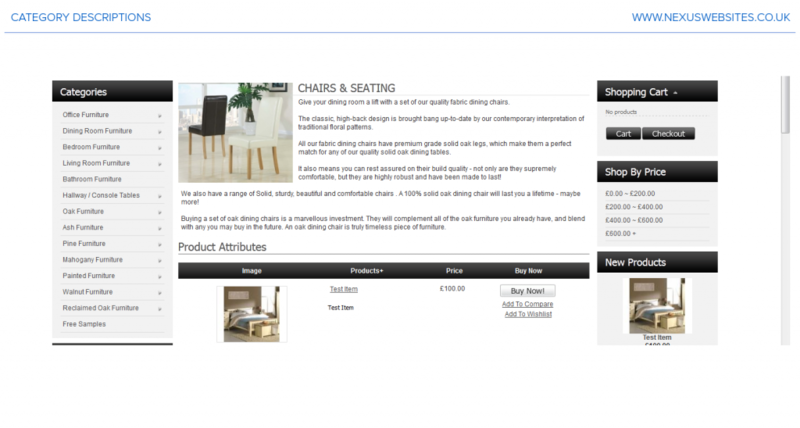 Once this module is enabled you will be able to create a category description very similar to product descriptions (please see page 9 for detailed information). Please load up categories and then select the category you want to edit. Then to upload the image you select an image from your machine. At this point you do not need to save. Then simply select the section_info tab. Here you will find a rich description box where you can add tables, hyperlinks, rich text to make your page look not only more friendly, but greatly improve your search engine listings. It is a fact that if a page lacks information it will not perform as well on the search engines and the standard category layout doesn’t include much text. You can drag the corners of the box to increase the size of the box. Simply click and drag or select the maximize button. Treat the control panel like you treat your desktop PC!